(Two different families are thus in this 1850 census, likely meaning two different home locations.) But, if Andrew came over with Balthazar , and Balthazar was his father, then he would have been only 5 years old at the time? Typo? The y and y columns indicate whether mother and father was foreign born. Both were. Cooper: One who makes or repairs wooden barrels and tubs. Note: the pleasant home would be the farm in E. Smithfield, which earlier accounts indicate that Christopher built and his son Harry acquired later. Christopher is to die only 3 years from this year, in 1887. * – recording of marriages prior to 1885 was not required in Bradford County. GEORGE W. DUBERT, farmer, P.O. Bog Pond, was born October 29, 1855, in Springfield township, this county, a son of Andrew and Elizabeth (Fraley) Dubert, natives of Saxony, Germany, who came to the country when young people, with their parents; they were agriculturists, and the father is still living. Grandfather Fraley is seventy-seven years of age. 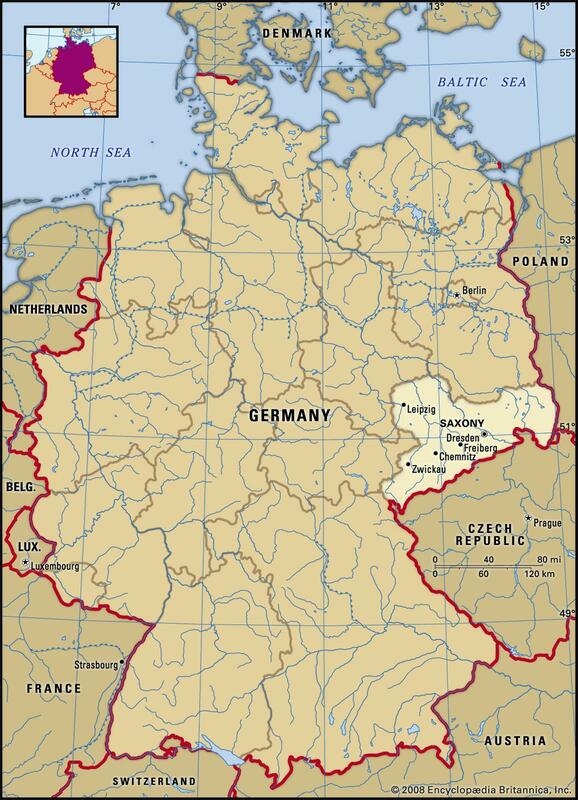 FYI: Below is a map of Saxony. Dresden is the largest city. WILLIAM W. BESLEY, farmer and stock dealer, of Columbia township, P. O. Columbia Cross Roads, was born in Columbia township, this county, November 16, 1849…and since attaining his majority has been engaged in business for himself as a farmer and stock dealer. He married June 3, Hiza, daughter of Andrew Fraley, of Springfield township, and has one son, Frank. Mr. Besley is one of the prominent and enterprising citizens of Columbia township, and in politics he is a Democrat. QUESTION: IS BALTHAZAR THE FATHER OF ANDREW? He was married at time of his death, 5/24/1901, and he came from Saxony, as above record shows. Former Smithfield Man Killed at Waverly. George Fraley of Waverly, met almost instant death at Waverly on Saturday afternoon. He was engaged in icing a large refrigerator car at the Delaware, Lackawanna & Western ice house and the swinging door was partially open. When passenger train No. 14 came along it is supposed that the suction swung the door out against a passenger coach, slamming it back again with terrific force, striking Fraley in the head and crushing it terribly. He lived by a few minutes after the accident. Mrs. Fraley is the soloist at Park church at Elmira, and when she heard of the death of her husband she was prostrated. Mr. Fraley is survived by the following brothers and sisters: George of Smithfield (me: ?? ), Frank of Columbia X Roads, and Andrew of Brooklyn; also the following sisters: Miss Carrie Fraley and Mrs. George Nippard of Smithfield, Mrs. William Besley and Mrs. William Canfield of Columbia X. Roads. Funeral services will be held at Waverly Tuesday afternoon. Me: Uncle George (above) was not born until 1910, so this is not him. Note: apparently one of the Andrew Fraleys moved to Brooklyn. Harry Fraley and sister Miss Minnie of Smithfield, visited at W. D. Canfield’s Sunday. Note: Harry would be 23 at this time. May 25, 1916 – The Case house, Elmira Street, soon to be vacated by the Rev. Thos. Burgan and family, will be occupied by Andrew Fraley, now of Columbia Cross Roads, formerly of New York City. Note: Dad (Robert L) was born November 21, 1917. Harry, his father, if born in 1881 as stated, must have been 36 when give his WW I draft registration card. Mrs. A. H. Post, who has spent some time here with her daughter Mrs. Andrew Fraley left Saturday for her home in New York. *- age at census. Dad was two. Surprising to learn that Grandma Fraley (Anna) was born in Canada and her father was born in England. And our father was 2 years old at the census time. Uncle Glenn was 3 and Uncle George was 10. You may see this chart much better at the source location below. It is not known whether Anna Fraley ever applied for U.S. citizenship but would be considered such a citizen by virtue of her marriage to Harry. Grandma was an immigrant. FRALEY – Miss Minnie Fraley, who had just returned from a visit to her cousin, Mrs. Warren Seeley in this boro, died suddenly Monday night at the home of her sister, Mrs. Jesse Sumner, in Smithfield. She was 47 years old and had been in poor health for several years. Formerly she was a teacher in West Burlington. She is survived by her mother, Mrs. Eliza Fraley, two sisters, Mrs. Sumner and Mrs. Chas. Allyn, a brother, Harry Fraley all of East Smithfield and a brother, Carl Fraley, of Trenton, N.J. The funeral and burial will be in Smithfield this Thursday afternoon. Mr. and Mrs. Harry FRALEY, Mr. and Mrs. Roy ANDRUS, Mr. and Mrs. Ed KEELER, Miss Reta DEVOE, Rev. and Mrs. O. J. STEVENSON. A chicken supper was served. The table was decorated with a beautiful bouquet from the guests. Stories and games were enjoyed throughout the evening. Note: George, the first son of Harry and Anna Fraley, operated his car dealership (and a nearby truck garage where his milk tankers drove milk to New York City and apparently elsewhere) and at times employed his brother Glenn (parts manager) and brother Robert (service manager). The dealership and truck garage were located in Athens, PA.
Fraley Carl B. 1876 1943 On Stone with Marrie L.
Fraley Christopher 1843 1887 Co. A. 141 Regt. PA Vol. Fraley Harry L. 1881 1958 On Stone with Anna B. Note: Technically, I should add here my own name, Lawrence R. Fraley, born 1943 (100 years after Christopher), as a veteran from Bradford County, from which I was drafted on December 15, 1965. I served in the 281st M.P. Company, primarily in Sattahip, Thailand (Camp Vayama) in 1966-67, returning home in October 1967. Coincidentally, Christopher was in the Third Corps of the Army of the Potomac, and I was in the Third Army, the present day equivalent. Of further remarkable coincidence, both Christpher and I rode on trains from Towanda to our basic training locations, his at Camp Curtin (near Harrisburg, PA) and mine at Fort Jackson, NC. He was born in 1843, and I was born in 1943. We both served approximately 2 years before being honorably discharged. Bradford County (PA) Queries July 2004 – September 2004. It was with interest to read of John Dubert and his wife. I would like to find out about the Fraley Family History. At one time it was written down and has disappeared. They came from Germany as near as I could ever find out around 1853. They came by boat and landed at Ellis Island. They originally left Augsburg Germany according to records. Perhaps under the name of Froelich, or Fralick. They were in the company of the Duberts and both settled on what is now Little York Road, Springfield Twp. The Fraley farm was on what is now the Hoppaugh Farm. The original settlers are buried in Hillside Cemetery, Big Pond. My great-grandmother was Sophronia Fraley, married to George Nipperd. Would be interested in finding out any information that might come you way. Mabel P. FRALEY, 87, formerly a resident of Troy and Sayre, PA, died Friday, may 12, 2000 in Buffalo, NY where she had lived for the past twelve years. Mabel was born in Columbia Cross Roads to the late Jeff and Lenora Prutsman. Having attended troy High school, Mabel attended many of her class reunions in Troy. She worked as a social worker in Bradford County for twenty years, retiring in 1975. Mabel was predeceased by her husband George Fraley of Athens. 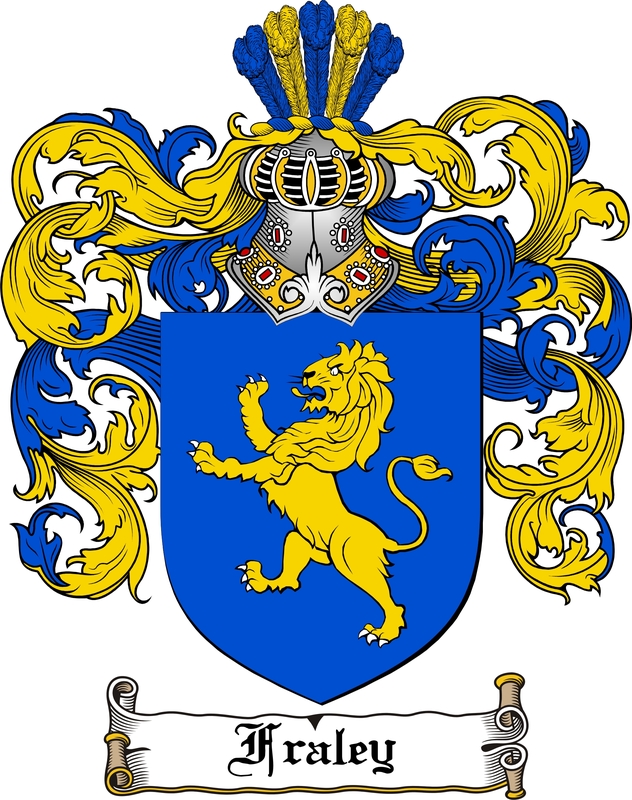 She is survived by two sons, Richard (Elizabeth) Mitchell of Buffalo, NY and Daniel (Gloria) Mitchell of Port Orchard, Washington; six grandchildren and twelve great-grandchildren. RAYMAH OLINA THOMAS FRALEY, 85 died Sunday, April 1, 2007 at the Sayre House Nursing Home following a period of declining health. She was born on Aug. 14, 1921, in South Portland, Maine, the daughter of the late Gerald and Gertrude Pendell Thomas. Raymah was the widow of Glenn Bathurst Fraley of East Smithfield, Pa. They were married on Nov. 1, 1940, and resided in Athens, Pa., to raise their family. Raymah and Glenn are survived by their children, Glenda and Carl “Bud” Brown of Athens, Pa., Rebecca and Harlan Williams of Sayre, Pa., Elizabeth “Beth” and William “Bill” LoVecchio of Lexington, S.C., and Thomas “Tom” and Jackie Fraley of Lockwood, Nev. Raymah was a graduate of Coudersport High School, Coudersport, Pa., and Mansfield State College, Mansfield, Pa. She was a 60-plus-year member of the Daughters of the American Revolution and a 60-plus-year member of the Athens United Methodist Church. Fraley, Alene Callear dau. of Robert & Hattie Ridgeway Callear. Sept. 10, 1910 Athens, Pa. – July 8, 1992 Sayre, Pa.
Fraley, “Bobby” Robert Charles July 30, 1969 Montgomery, Ala.- Mar.28, 1975 Waverly, N.Y. Son of William and Maylois Fraley. Fraley, Christy A. 7weeks Sept. 22, 1984 Scranton, Pa. – Nov. 12, 1984 Waverly, N.Y. Dau. of Kelli Fraley and Bryan Husick. Fraley, Eugene R. Aug. 1, 1920 Scottsville, N.Y. – Mar. 13, 1999 Troy, Pa. Son of Sumner and Berdena Bentley Fraley. U.S. Army W.W- 2 Wife of 55 yrs Betty. Fraley, Infant dau. of Mr. and Mrs. Richard Fraley d Nov. 1951 Sayre, Pa.
Fraley, Robert Charles July 30, 1969 Ala. – Mar. 28, 1975 Waverly, N.Y. Son of William and Maylois Mundy Fraley. Wife; Berdena M. Jan. 28, 1899 Titusville, Pa.- Mar. 2, 1986 S. Waverly, Pa. THE FOLLOWING IS THE OBITUARY FOR JANE H. FRALEY, WIFE OF THE LATE ROBERT C. FRALEY. Church Administrative Board, and was a member of the United Methodist Women. Fraley of Jupiter, FL, 8 grandchildren,11 great-grandchildren, sister Freddie Albee of Sarasota, FL, and several nieces and nephews.A Memorial Service will be held on Saturday, April 12, 2014 at 11am at the Athens United Methodist Church, 118 South Main Street, Athens, PA with the Rev. Andrew Weidner officiating. Burial will be in Union Cemetery, East Smithfield, PA. Source: The Morning Times, Sayre, PA.